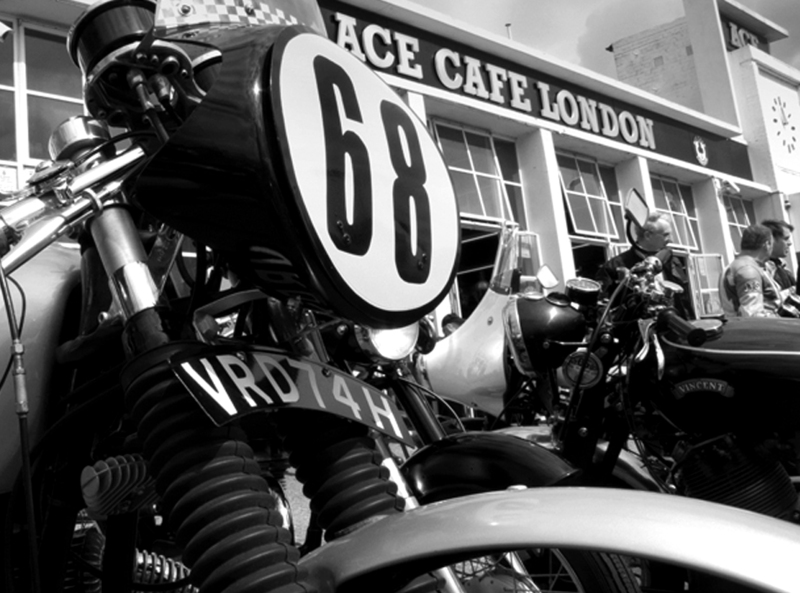 I popped along to Ace’s Cafe for the first time last night. Famously frequented by the cafe racers who bombed it around the North Circular. 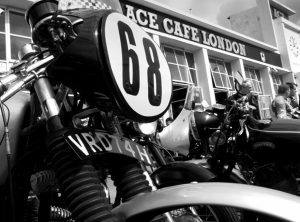 Opening in 1938, it is still a veritable hot bed of motorbike enthusiasts and great place to meet up with fellow bikers and have a good cuppa’. The occasion last night was Newbie Night for the London Bikers forum, which occurs on the first Monday of the month. I initially met up with a handful of bikers in the centre, then we all set off to Ace’s together and had a good chin wag. It was a great night, lots of comradery and good to hear from other newbie’s and their experiences learning. And discovering I’m not alone in dropping the bike in daft manners! It was a chilly ride home, I was glad of my new heated gloves.